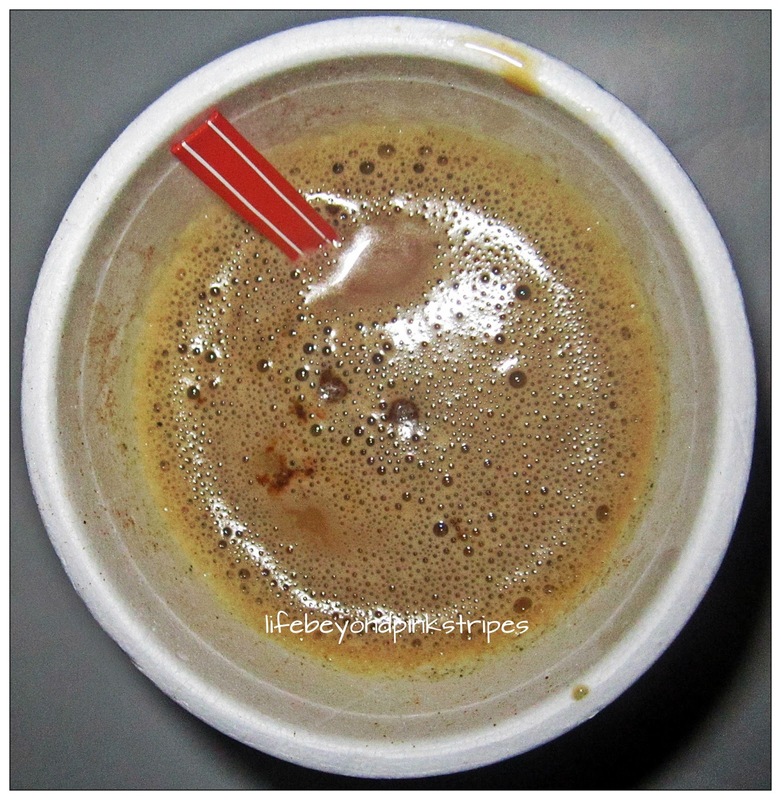 Beyond Pink Stripes: Healthy Coffee? Try Glorious Blend 4-in-1 Coffee! Coffee has long been known for its caffeine content that gives instant boost anytime of the day. However, studies show that excessive intake of caffeine can cause increased heart rate, nausea, vomiting, tremors and other side effects. In spite of it all, coffee remains to be a staple inclusion in people's everyday lives. And the good thing is that, in the recent years, the aromatic drink has started to evolve into a dietary food supplement that offers more health benefits. 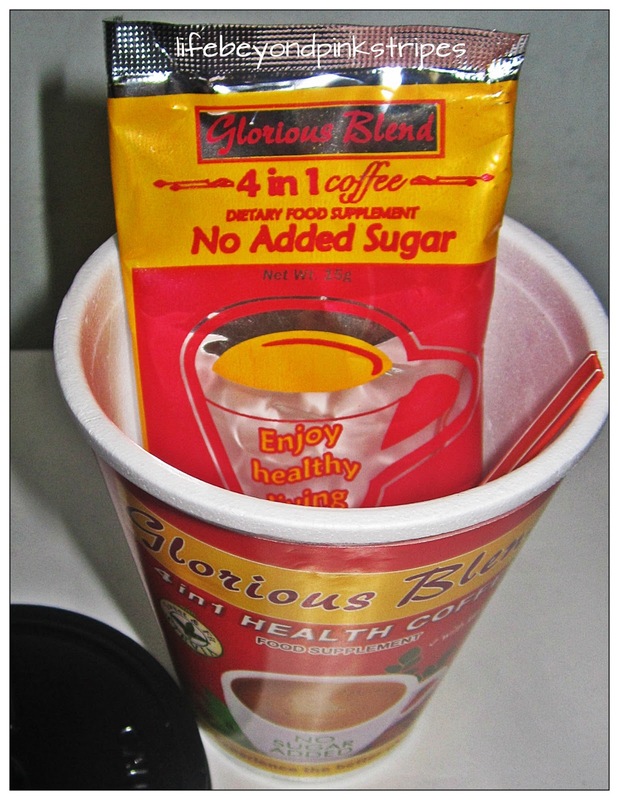 ENTER GLORIOUS BLEND 4-IN-1 HEALTH COFFEE. WHAT'S INSIDE THE STYRO CUP. Admittedly, I am not much of a coffee drinker but since my officemate gave me a sample of this new (well, for me) coffee brand, I thought I might as well try it. Frequently referred to as the miracle vegetable, Malunggay helps boost the immune system, promotes good eyesight, helps with digestion and facilitates bowel movement. It is an excellent source of Vitamins A, B, and E, and minerals such as Calcium and Iron. It may also prevent the development of cancer cells. Contains zero calorie, zero carbohydrate, and zero fat. 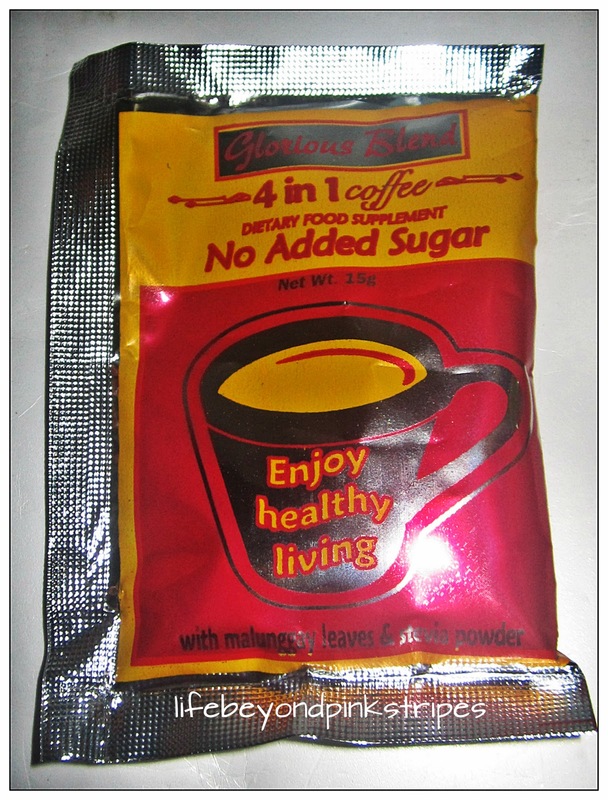 It’s a locally-grown natural and organic-based sweetener/dietary supplement that comes from the Stevia Rebaudiana herb. It naturally sweetens without raising the blood sugar level in the body. 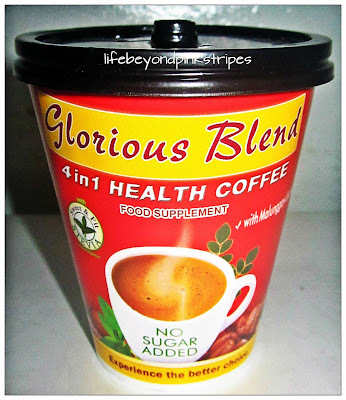 Over-all, I enjoyed my Glorious Blend 4-in-1 Health Coffee experience and I would gladly have another cup soon. Initially available at Robinsons Supermarket and South Star Drugstore, Glorious Blend 4-in-1 Health Coffee comes in both sachet (SRP 9.60pesos) and styro cup (SRP 15pesos). 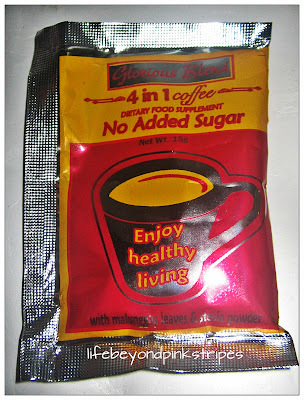 A 4 in 1 coffee that is healthy? Wow. I would love to taste this!